In Texas, deer hunting lease opportunities abound because hunting deer, especially whitetail, is a way of life in this southern state. Of course, deer hunting lease opportunities are also available during other hunting seasons, including quail, waterfowl, turkey, and dove, but the main use for such a location is as a place to stay and find excellent deer hunting. Some Texas lease opportunities are found on private land and must be included in an entire package that includes the lease of a lodging space, a campground, a deer stand or blind, and even equipment in some cases. Others, however, are in public hunting grounds, where you can simply lease the right to hunt and bring your own deer blind and equipment. Texas deer leases are usually managed through a service, which can now be found online just as conveniently as every other service in the world. Many of these services are provided by other hunters who know what you will be looking for in Texas hunting leases and can help you weed out the opportunities that don’t match your circumstances. In fact, some management companies will have hundreds of properties classified in certain ways so that your search turns up only information with an exact match for your criteria. 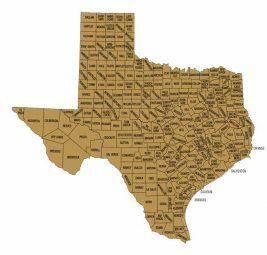 For example, you can search sites like Texas Lease Connection by zip code, price range, distance, acreage, amenities, and more. The most common locations to find deer hunting leases in Texas are in central, south, and east Texas. This is mostly because other areas of the state don’t provide the cover of foliage from the trees that can be found in these locations. In south Texas, whitetail can find hiding places in pine forests, while central and east Texas provide the preferred hardwood tree environment. You also don’t have to worry about Texas lease opportunities fitting into your budget, often these package deals are less expensive than the cost of a typical roughing it outing. Most management companies dealing with these types of rental requests are used to special applications and will be glad to accommodate you in any way possible. With a Texas deer hunting lease, you don’t have to worry about setting up your own equipment (including your deer blind, which can be quite a hassle). Instead, everything is already taken care of for you. Most lease options are on farms and preserves, but some private ownership of other areas also offer the opportunity to lease the land and space, though most of these do not include any kind of lodging.